If you've wanted to use a virtual private network to improve your web privacy or (let's be honest) dodge content restrictions, you've usually had to either install a third-party client or use a relatively niche browser with the feature built-in. 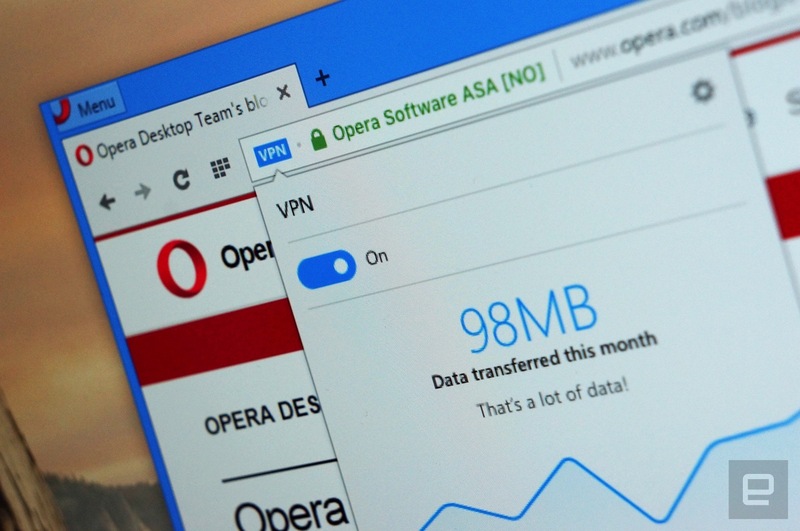 As of today, though, you have a more mainstream option: Opera has released a developer version of its desktop web browser with native VPN support. You only have to flick a virtual switch to get a 256-bit encrypted connection that hides your connection details and prevents sites or governments from blocking content they don't want you to see. The preview version only gives you three simulated locations for the VPN (Canada, Germany and the US), so this won't give you access to a whole lot until the finished browser is ready. However, the VPN is free. If all you want is to access a forbidden streaming service or make it harder for snoops to monitor your traffic, this might be your easiest and most affordable solution. Cameras are already embedded in a lot of devices, but what you could wrap them around things like a "skin?" That's the premise of "flexible sheet cameras" developed by scientists at Columbia University. Rather than having just a single sensor, the devices use an array of lenses that change properties when the material is bent. The research could lead to credit card-sized, large-format cameras that you zoom by bending, or turn objects like cars or lamp posts into 360-degree VR cameras. In order to create a wraparound camera, the team first considered attaching tiny lenses to single pixel-sized sensors, a tact that's been tried before on curved surfaces. However, they realized that when bent, such an array would have gaps between sensors that would produce artifacts in the final image. Instead, they created flexible silicon sheets with embedded lenses that distort and change their focal lengths when bent. The resulting prototype has no blank spots, even with significant curvature, so it can capture images with no aliasing. The team flexed the prototype sheet -- with a 33x33 lens array -- in a predictable way, allowing them to produce clean (though low resolution) images. However, if the amount of deformation isn't known, the system produces random and irregular images. For instance, they created a simulated camera based on a larger, more flexible sheet that produces a hilariously distorted image (above) when when draped on an object. However, the goal is to eventually measure the amount of deformation with built-in stress sensors, then calculate the sheet's geometry to produce a clean image. While the current prototype is very low-res, it proves that the concept is viable, so the team plans to "develop a high resolution version of the lens array and couple it with a large format image sensor." Eventually, the sheet camera could result in sensitive large format cameras that produce very high dynamic range images. 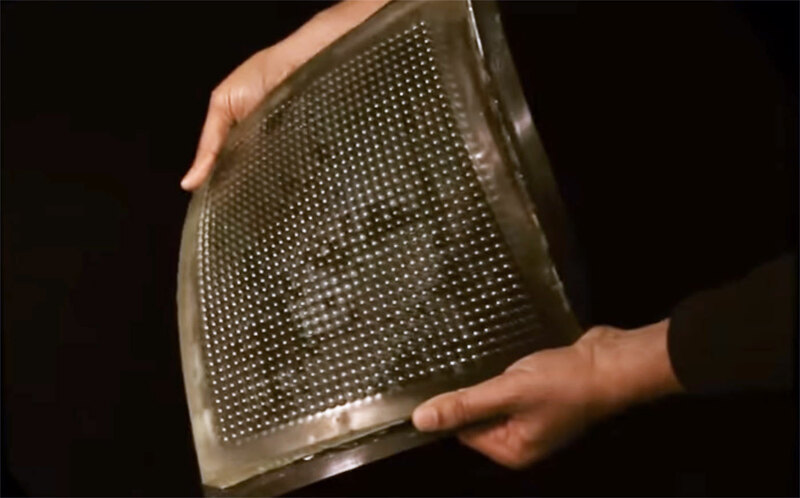 If you want to be more futuristic, the tech could even turn household objects and wearables into giant image sensors. Invisibility cloaks for all? 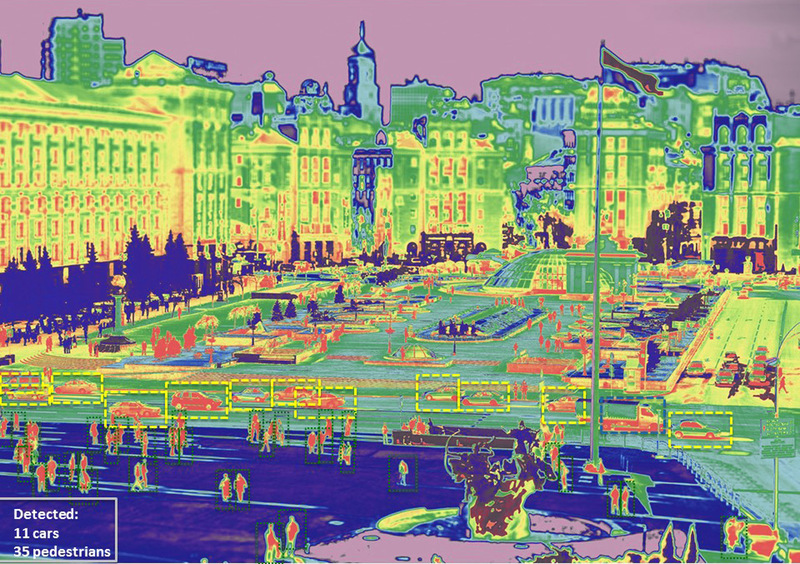 As cool as thermal cameras may be, they're not usually very bright -- they may show you something hiding in the dark, but they won't do much with it. FLIR wants to change that with its new Boson thermal camera module. The hardware combines a long wave infrared camera with a Movidius vision processing unit, giving the camera a dash of programmable artificial intelligence. Device makers can not only use those smarts for visual processing (like reducing noise), but some computer vision tasks as well -- think object detection, depth calculations and other tasks that normally rely on external computing power. You'll have to wait for companies to integrate Boson before you see it in products you can buy. However, its mix of AI and compact size could bring smart thermal imaging to gadgets where it's not normally practical, such as home security systems, drones and military gear. You may well see a surge in devices that can recognize the world around them in any lighting condition -- even in total darkness.